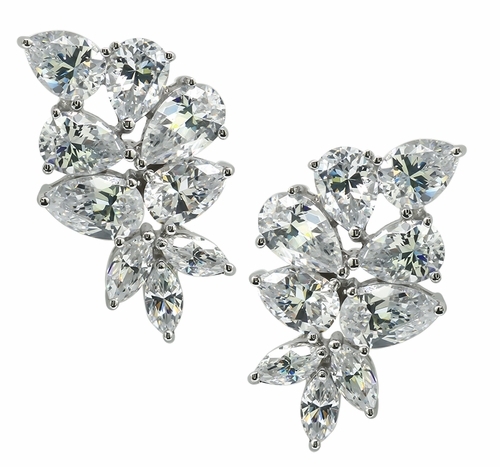 Our Winston Pear Marquise Cubic Zirconia Cluster Stud Earrings are a must for ladies who attend many black tie affairs and elegant dinner parties in addition to the perfect wedding earrings. 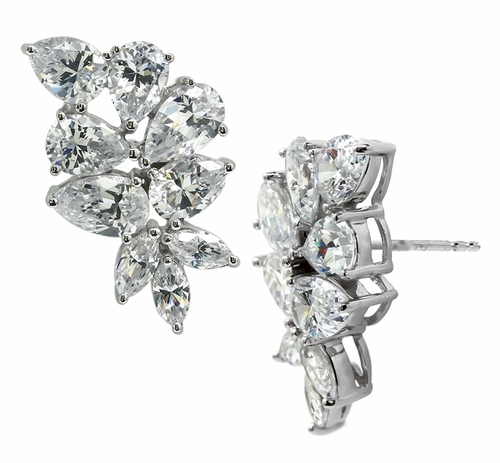 These earrings are custom made with a left and right earring with six substantially sized cubic zirconia pears and three marquise shaped cubic zirconia. 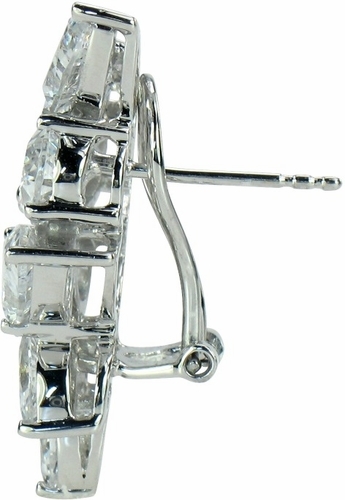 Our Russian formula cubic zirconia are all hand cut and hand polished to exact diamond specifications for a stunning finished product. 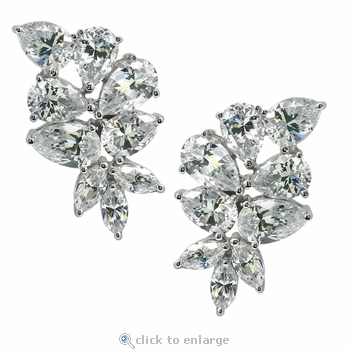 Each earring measures approximately one inch in length and just over half of an inch in width with a total carat weight of approximately 8 carats for the pair. Available with a standard post back, large back or omega back options in 14k white gold and 14k yellow gold, please see the pull down menu for options. For further assistance, please contact us directly at 1-866-942-6663 or visit us via live chat and speak with a knowledgeable representative.